These dresden plates were sitting in a box at a local antique store just waiting to be finished. Someone spent a long time hand piecing and basting the edges, and after appliqueing them onto onto white background squares, they make a beautiful quilt. What a great find, knowing you helped quilt a piece of history! So beautiful! 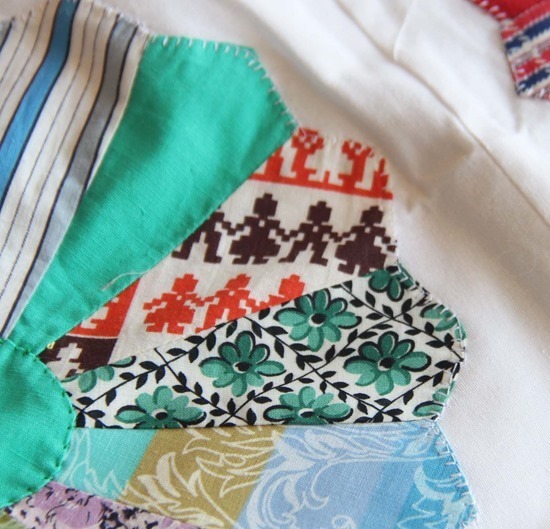 I love antique quilts…you did a beautiful job finishing the piecing-I will be excited to see it quilted! What a great find! It's a beautiful quilt. What an awesome find! Think of the stories it could tell! Can't wait to see it finished! WOW! That treasure fell into the right hands! What an amazing find! I can't wait to see how it looks all quilted up. Wow! You are a lucky lady to find that and be able to finish it! I admit, I'm jealous! 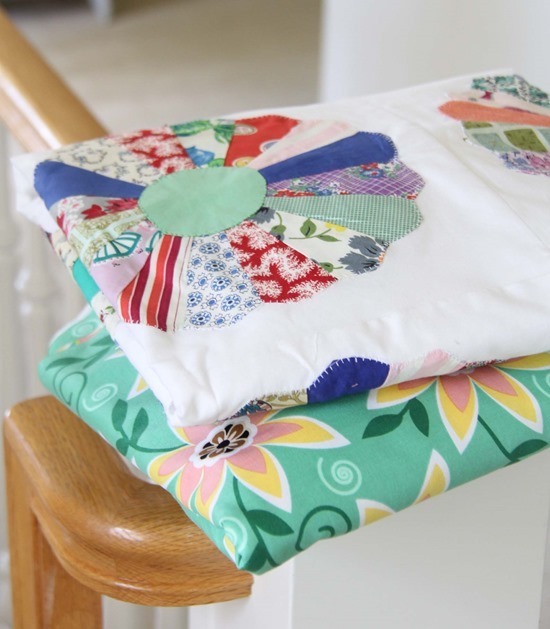 How wonderful that you rescued these blocks and made them into such a beautiful quilt. Wow, Allison, what a find! I love those Dresdens. You did such a good job on putting them together into a quilt – can't wait to see how it looks when it's back from your quilter. wow! lucky you. What a treasure. 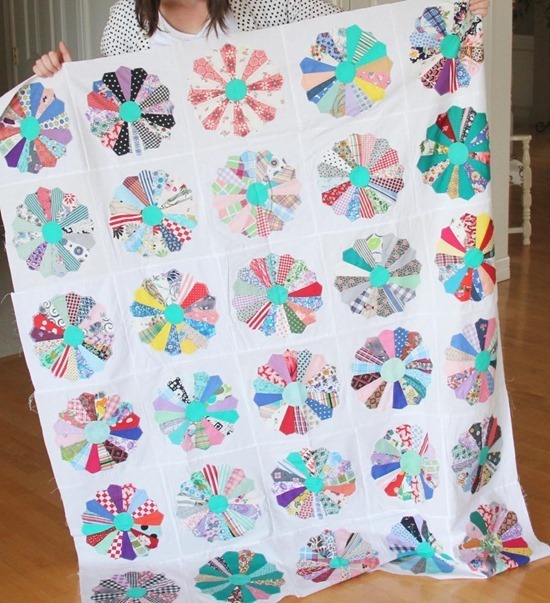 I can't wait to see it all quilted! What a great find! 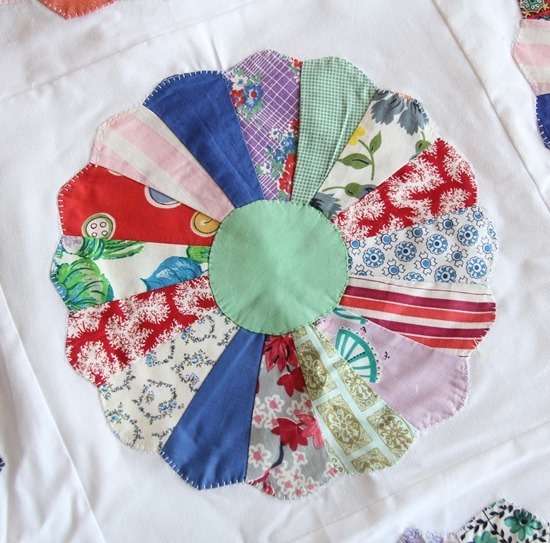 I have several sets of quilt blocks that my great grandmother made and never put together-some dresdens, some complicated hexies, some embroidered, but all wonderful. I am terrified of them! I love to go to antique shops looking for quilt tops or blocks. There's just something about finishing them that warms my heart! What a lucky find. Beautiful! Awesome quilt. I always enjoy checking in with you….great blog. What an absolutely wonderful find! Lucky you…. Congrats on the find and a beautiful quilt. Oh wow! What a great find! It's beautiful. Can't wait to see the finished project! I love antique quilts. I have a 1920's dresden in my closet. You've inspired me to dig it out! I came into 29 Dresden plate hand pieced "plates". Did the same as you, in fact the two could be twins. Now I don't know how to finish the quilting. I'm looking forward to seeing how you finish yours. Mine is sitting sandwiched ready to do something but what? These vintage blocks are too precious to ruin. Love 'em! Can't wait to see the finished product.